It was a cool, damp Speyside morning. One that begs to be distilled. 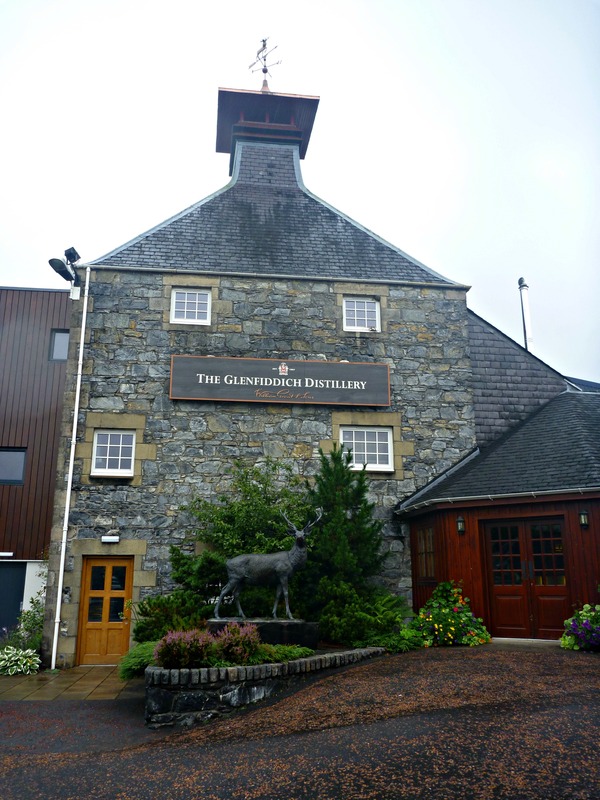 The visit this morning was to the Glenfiddich Distillery just outside of Dufftown. Upon driving into the parking lot, you are greeted by huge antlers shaped from two-by-fours and other plant material. Quite a sight. The antlers are appropriate since Glenfiddich means “Valley of the Deer” in Scottish Gaelic and they can be seen on every bottle. Founded in 1886 by William Grant and sons, Glenfiddich is one of the few remaining distilleries to remain family-owned. You could feel the pride in this from our tour guide. This is quite amazing since they are such a large producer of single malt Scotch and since 2000 they have received more awards than any other single malt Scotch whisky in both the International Wine & Spirit Competition and the International Spirits Challenge. 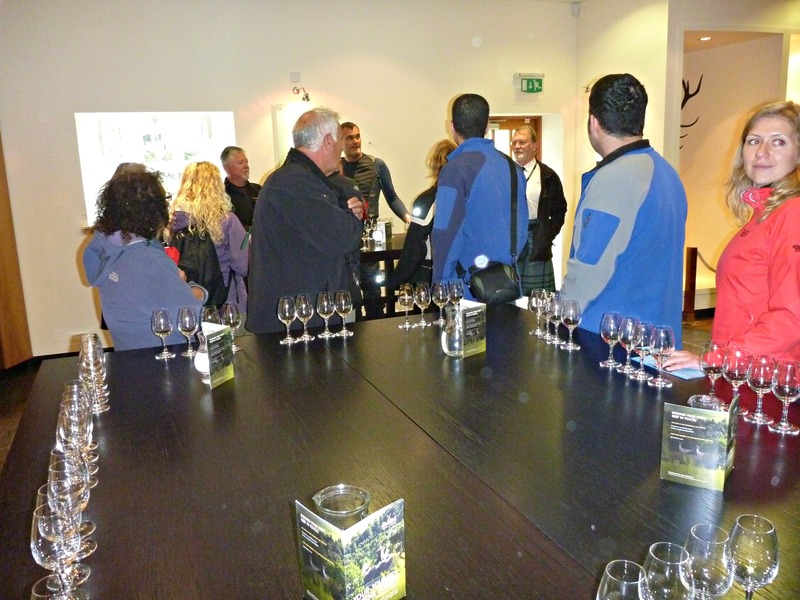 We took the Explorers Tour, one of three tours that are available at Glenfiddich. The water that sources the world’s best-selling single malt whisky is the Robbie Dhu spring. 100 tons of barley a day are used and this is taken down to 9 1/2 tons during processing. They use two mills for grinding the barley and two mash tuns that hold up to 60,000 liters each. The three water sparges in the mash tun are at 68 degrees, 75 degrees and 86 degrees. 41,000 liters of mash are converted into wort and then cooled in a heat exchanger before being sent to fermentation. 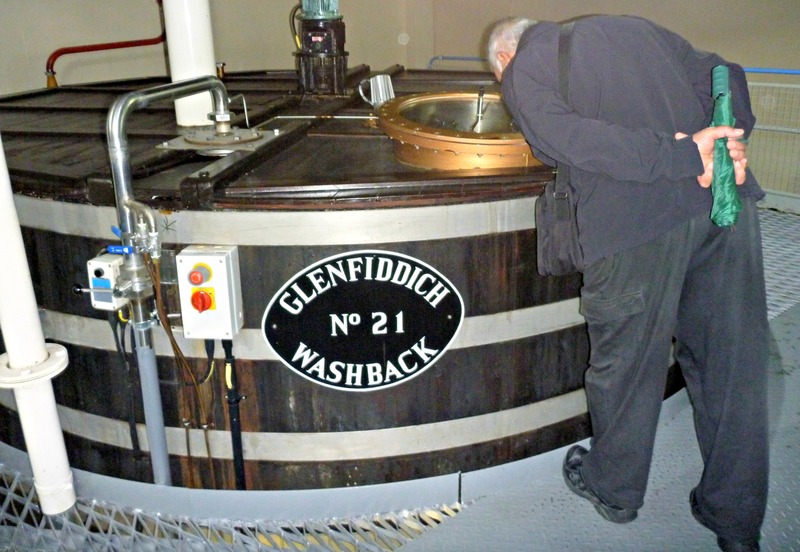 Glenfiddich uses 32 washbacks made of Douglas Fir for fermentation. It was an interesting note that they use the high branch line of the Douglas Fir (over 17ft) for their washbacks. Fermentation takes approximately 72 hours and produces a wash of 9.6% ABV. 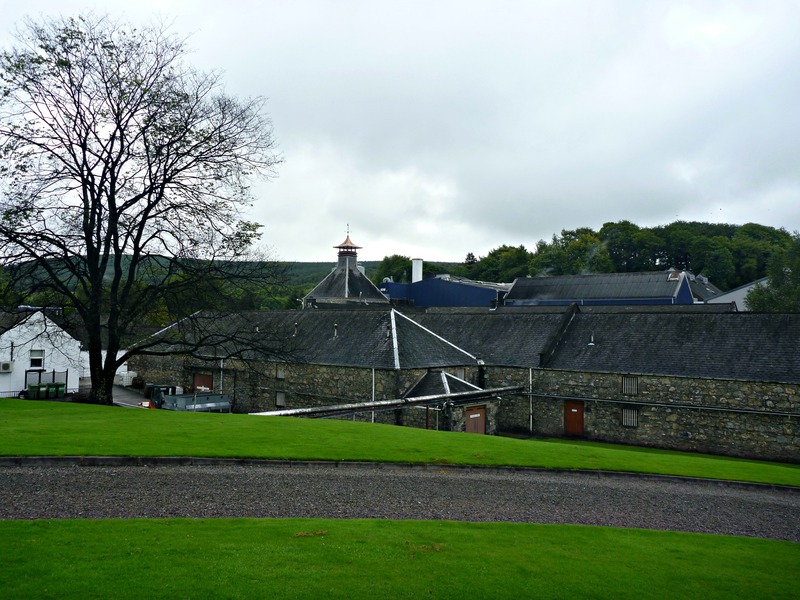 There are two still buildings at Glenfiddich containing a total of 28 stills. 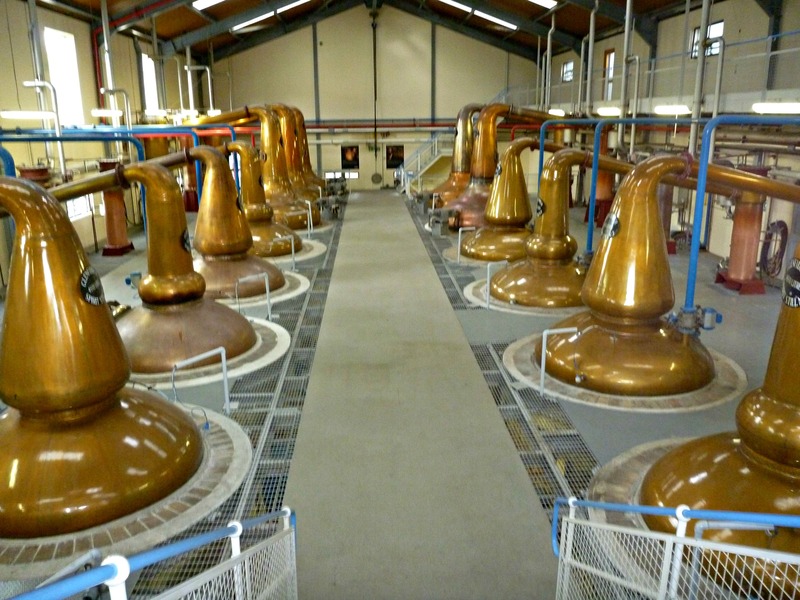 The life of their stills is between 8 1/2 to 9 1/2 years and they use gas heating, not coils. 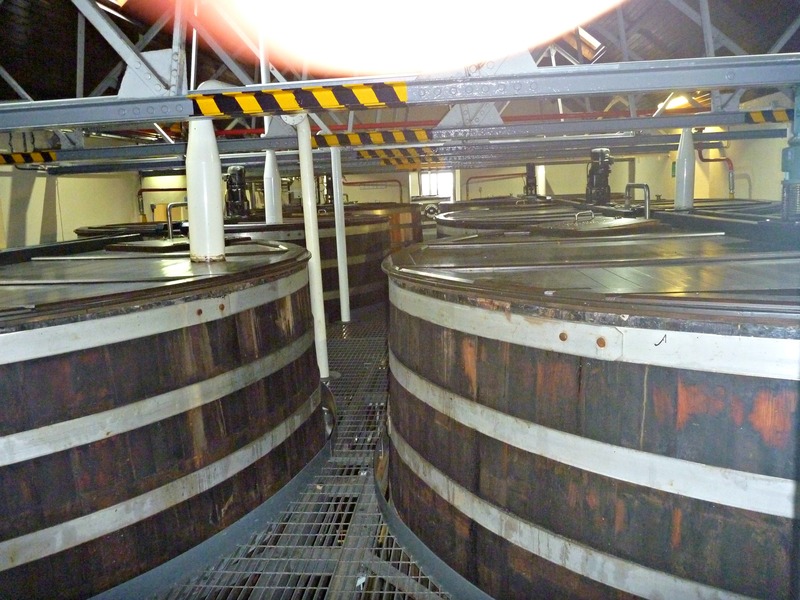 Once the wash stills have started to produce the condensed, cleaned-up spirits, the first 1/2 hour comprises the head or the foreshots and this is then taken to be redistilled. The heart, or the runoff with the proper high percentage of alcohol, runs for about 2 1/2 hours at 21% ABV. This tail or the feints are the last runoff and they last for about 1/2 hour and are redistilled. The low wines (heart) is then heated and condensed again in the spirit stills. 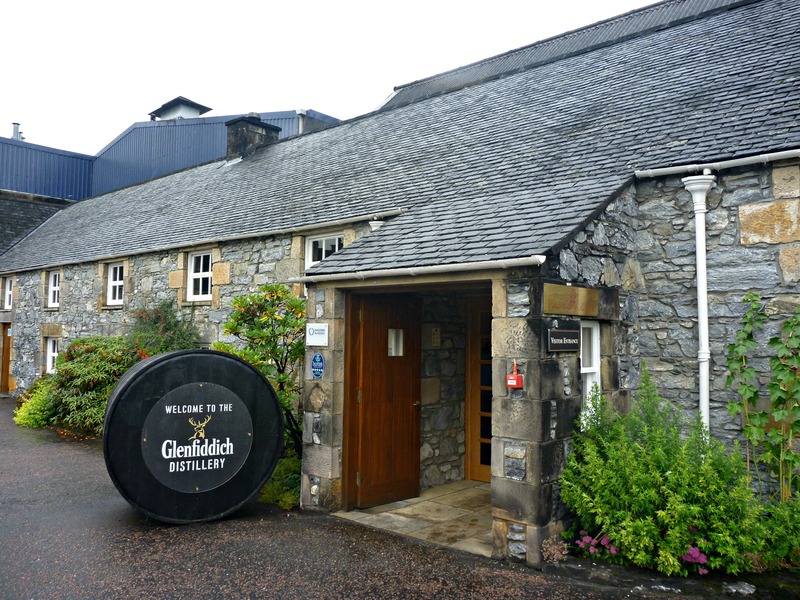 Glenfiddich has two differently shaped spirit stills, one that is a pot belly where vapor spirals up and the other which is a witches hat or lantern where the vapor goes straight up. The heart from this new distillation will produce a ‘new make’ spirit of about 70% ABV. Glenfiddich houses its own onsite cooperage where the coopers build and char new casks and do repairs as needed. They store 1 million barrels and casks among 46 warehouses. Amerian oak and Spanish Oloroso oak casks are used. We visited one warehouse with a marrying tub where spirits of 85% bourbon and 15% sherry were being married. 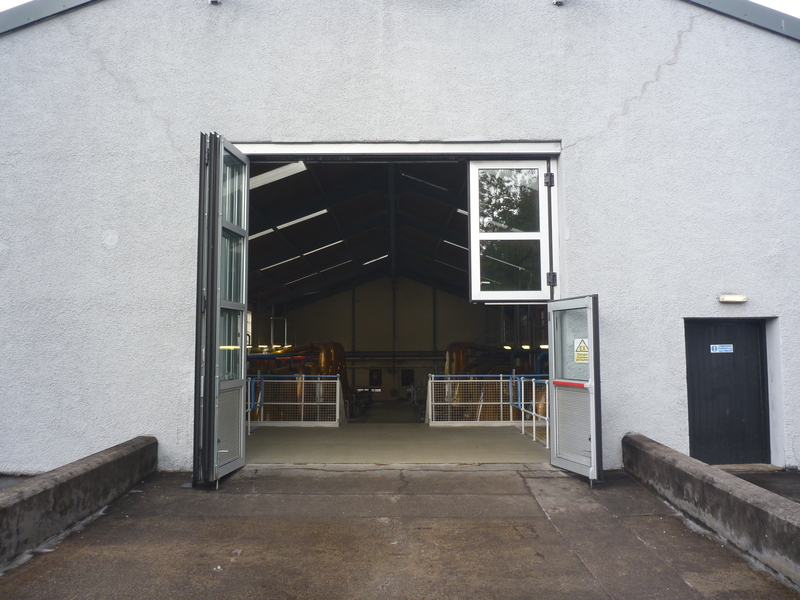 Here also is where Glenfiddich uses the Solera process for its 15-year old whisky. 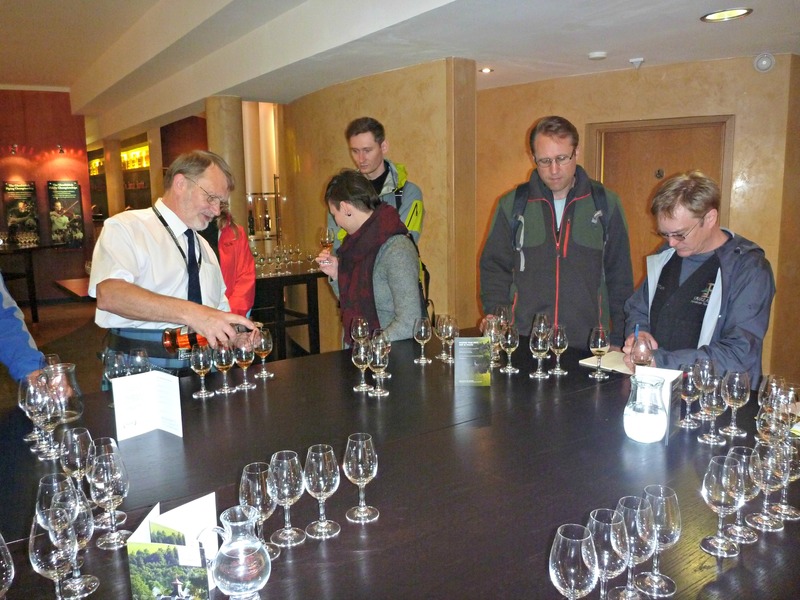 Our Explorers Tour ended with a tasting of four Glenfiddich whiskies. The first taste was the 12-year old which is comprised of 85% bourbon casks and 15% sherry casks. The second taste was the 14-year old Rich Oak, also a mix 85% bourbon casks and 15% sherry casks. The third taste was the 15-year old Solera Unique Reserve. The last and my favorite was the 18-year old which is comprised of 80% bourbon casks and 20% sherry casks. 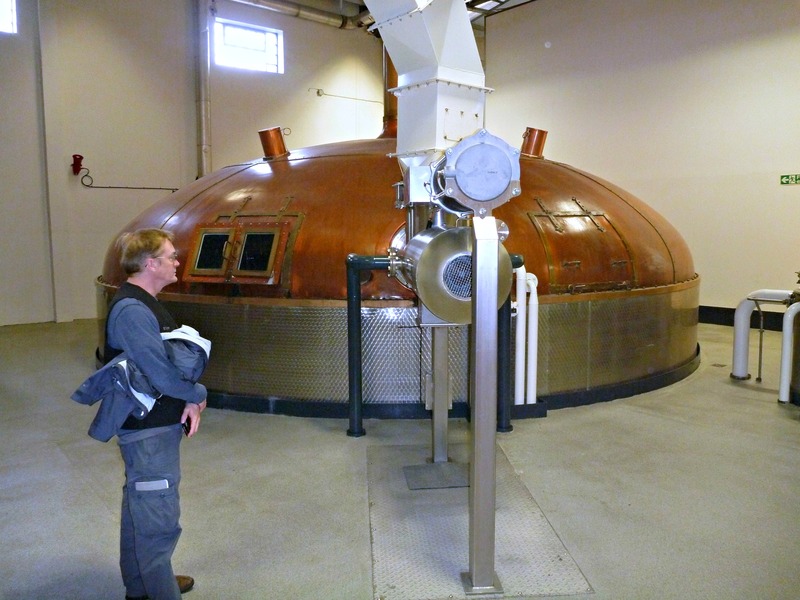 Charles’ Notes: I was not sure what to expect from this distillery visit. I was thinking it was going to have more of a corporate feel since it is such a large producer worldwide, but the family influence came across nicely. Our guide also made it feel that way which was nice. I think he was the only guide on our 11-distillery visit that even wore his tartan clothing! The tour itself was very well done with a movie to start in a nice facility and then a full visit to each stage of the operation. 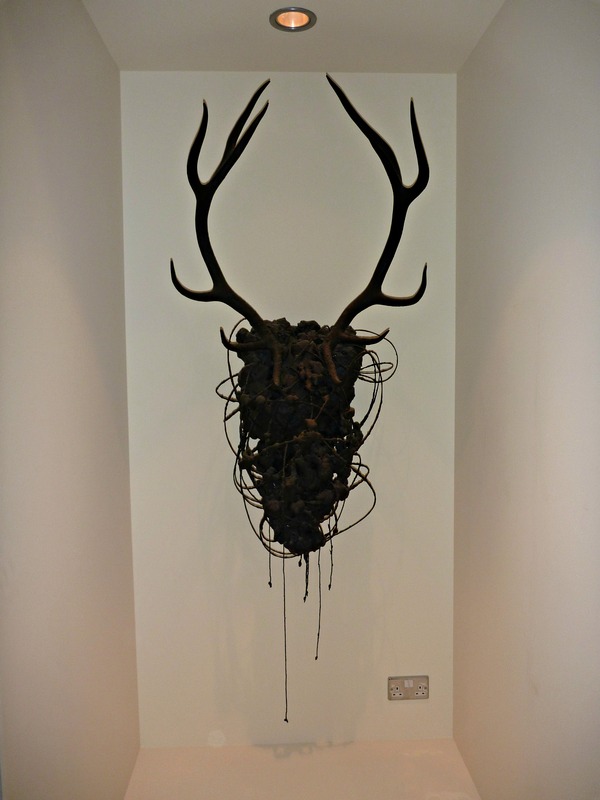 The tasting room was nicely laid out with artwork and Glenfiddich memorabilia. 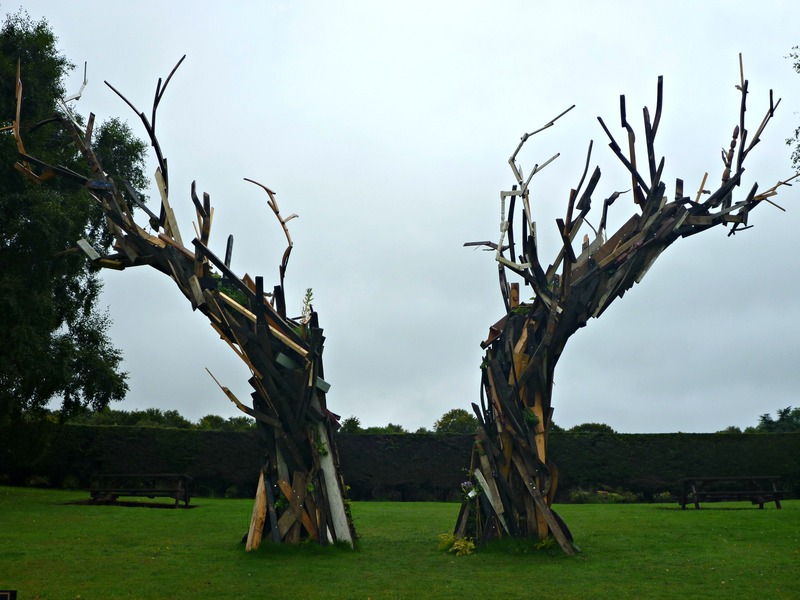 It made me want to come back and do their other tours which I will definitely do the next time I am in the Speyside. 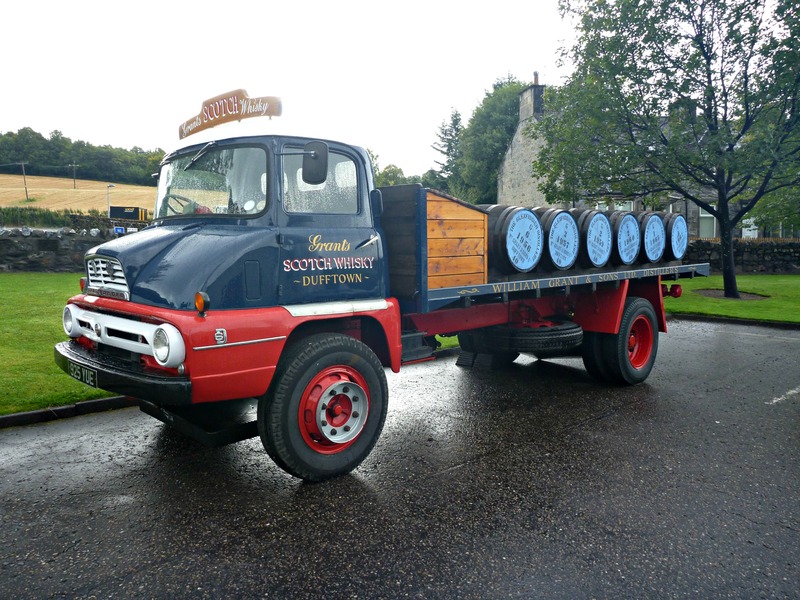 Just a quick note, if you are a driver and visit this distillery, they do provide “to go” drams so that you can taste at your leisure when you return back to the hotel or home. the still trippers Create a free website or blog at WordPress.com.